Most of us would like to own one classic car, but Mick Ward owns two. "Actually, better make that three if you count the old '78 Cortina," he said. When he saw the iconic, Australian built, muscle cars for sale he had to sell his 1967 Mustang convertible to buy them. "I liked the Mustang, but I loved these cars," he said. His pride and joy is the 1970 XW utility which started life as a panel van. "About 15 years ago the roof was removed, a back panel welded on, then the whole car was repainted," he said. It was originally a manual but he had an automatic gearbox put into it. Not long afterwards room was made in his shed for the 1972 XA Falcon two door hard-top. It's a real head turner and kids love it because nothing built today looks and sounds like this car." The hard top is also popular for students looking for a hot ride when prom time rolls around. 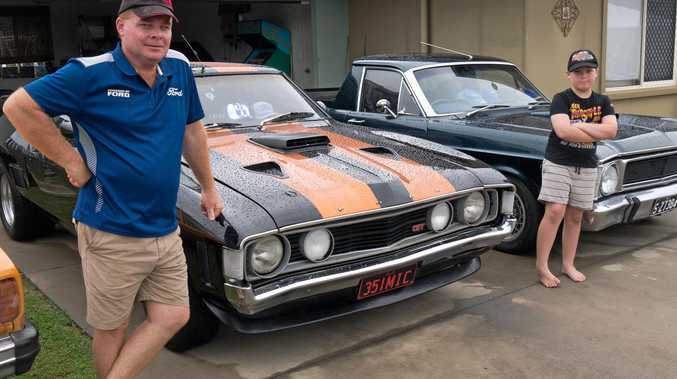 V8 RUMBLE: Mick Ward shows off his 1972 XA Falcon. Mick's collection doesn't end with the cars parked in his driveway. Around the carport and inside the house is a swathe of memorabilia, photos, pictures and model kits, which includes a few Holdens. "Well, I'm not a one-eyed Ford man, I like all the old cars, they have special memories for me," he said. Inside his baby grand-daughter sleeps in a room furnished with a cot, set of drawers and a couch made from the back end of a Falcon. 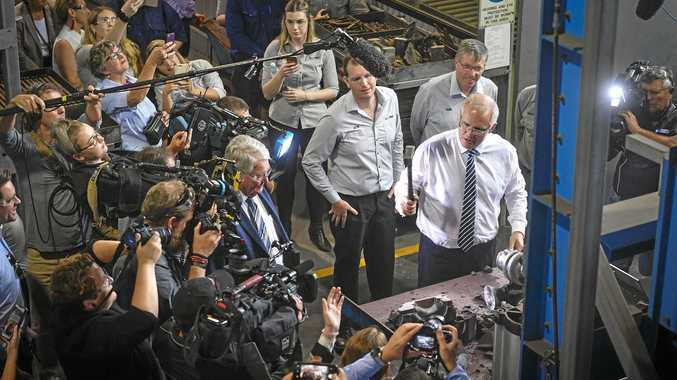 "That will go to her, and my son Ben wants the ute," he said. When asked if he is going to purchase another car for his growing collection, Mick's wife, Carmel, said, "It stops now!" Mick laughs but admits he does have another car on his list he'd like to own and drive one day. "I'm looking for a 1969 V6 Ford Capri but they were hard to find nowadays," he said. The only thing he doesn't like about his old cars is the fuel economy which is why he recently purchased the Cortina. "I'll repaint it and use it as our run around car," he said. But that doesn't mean the two V8's will be retired. "What's the point of owning a great car if you're not going to drive it? Driving them is the best part!" he said.